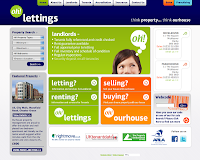 When Paul Morris of OH Lettings contacted us several years ago to help with his website design we were delighted to advise. We created this stylish and modern design (even though it is now over two years old it still looks good...we think). The site was managed by a company in Manchester who developed some complex back end PHP code to enable the site to function. Sadly the company dissolved last year and the code became redundant. Paul asked us to help 'fix' the website as updates could not be done and the web code could not be added. We spent some time diagnosing the problem and managed to repair the site for him. "I am so happy, our website hasn't worked properly in months...and now it does! Thank you!" We are pleased to be able to help - if you have a problem with your site or simply want to update your site's look and feel please give us a call on 01332 291141 and we will be happy to help. This simple device has become a global icon ever since it was created by Milton Glaser in the 1970s. We have updated this version for one of our favorite clients, Mags Worldwide (MWW). The device is used on promotional material as well as exhibition graphics. In addition to the badges we also developed some quick reference cards which are used as a promotional piece for the company. The 'tag cards' can be easily updated and added to at any time. We think that Mags has been pretty forward thinking with this idea too. Mags commented "I am truly delighted with the promotional cards and stickers, they have exceeded my expectations...many thanks..."